Could this biodegradable bottle help tackle the plastic crisis? Even if you’ve been living under a rock for the past year, you’ll have seen the damage that plastic is causing to the environment. Microplastics in the oceans, plastic bottles clogging up landﬁll and even bags at the deepest part of the ocean – plastic is everywhere. Plastic isn’t a bad material; it isn’t harming the planet on purpose. In fact, it’s a great material. Too good, really – it keeps doing its job for centuries. It’s our fault that we’re in this mess, having failed to managed plastic waste properly. So we have to do something to change it. In 2016, I set up a charitable bottled water company called Choose Water – we donate 100% of our proﬁt to Water For Africa to provide clean water to those who need it most. But about a year ago, we realised that our plastic bottles, while helping provide clean drinking water in West Africa, were having a huge impact on the environment. We decided we didn’t want to be part of the problem anymore, we wanted to ﬁx it. The solution we came up with is a new paper-based bottle that has zero impact on the environment. It is formed of two distinct sections: the outer casing – made completely from recycled oﬃce paper, which is vacuum moulded into the hollow bottle shape; and the inner liner – the liner is key, we needed to keep the water inside the bottle and keep it fresh. We can’t say exactly how we make it, that’s our little secret. What we can say is it is made from 100% biodegradable materials and they are all sustainably sourced, so no fossil fuels here. When submerged in water or landfill, the paper layer starts to decompose followed by the liner. The whole bottle will return to its constituent parts within a maximum of three weeks. The thin steel cap will break down in about a year. These natural products can then return to nature through biodegradation or be eaten by organisms. The shelf life will be the same as other regular plastic drinks bottles. The cost of producing it will be about 5p more per unit than single-use plastic bottles. A solution to throwaway culture? We want to provide consumers with an alternative to single-use plastic water bottles. Our bottle provides the potential to alter an entire industry away from plastics, and towards more sustainable and environmentally friendly alternatives. Each bottle we make will replace a plastic one. This may save the ocean from one more plastic bottle or keep one plastic bottle out of landﬁll. Let’s end our dependence on single-use plastics and make sure we have an ocean to save in a hundred years. To find out more and support our project, visit our website here. This is a guest contribution by James Longcroft. All views are James’ own and not necessarily those also shared by Which?. 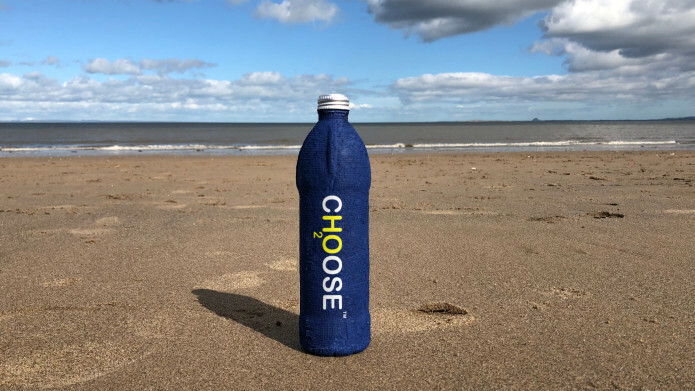 What do you think of the Choose Water bottle? Could it help solve our plastic problem? James-You donate 100 % of your profit to Water for Africa ? thats a brave statement I take it there are other parts to your business selling other household products ? .If all you say is true then I heartily applaud you but I am reminded of “Live Aid” where all the donations either didnt reach Africa or those that obtained the donations there used them for arms etc and not a lot of “digging for wells ” was done but I take it times have changed . I personally would be willing to pay extra for non-plastic containers as there are other side-effects in plastic that can effect male fertility and breast cancer in females , but sticking to the subject Walkers crisps arent divesting themselves of plastic bags until -2025 even when 230,000 petitioners including myself signed a petition against the company and MacDonald,s are staying silent on -one use plastic straws , I could add more but it would look like advertising I cant find much on your company although you seem to be running it yourself ( at the top ) and has had a change of name but , as I say , I compliment you if you are 100 % kosher , not many companies would do as you do in this modern business world . My one worry is what I continue to harp on about –I hope you have patented the design /material and that in several years time you sell out to Big Business USA as I am a “Britain First ” person and are you a “made in Britain ” organisation ? as we have had a convo on this recently. On the face of it, seems a useful product. However there is very little information on the site apart from a crowdfunding scheme to buy machinery to make the bottles in house. I would have thought rather than a bottled water company trying to make its own bottles it would be better to team up with a specialist carton manufacturer and develop a market for the bottles themselves; potentially, if they are any good, far moreuses than just for water? Wavechange the company has gone through some changes at the top as well as a change of name but one website noted that bottled water wasn’t its only income only James will know if that is no longer the case . I support small businesses and British entrepreneurs as long as they dont sell out to US conglomerates that then makes me realise they are only in it for a “fast buck ” but I do get the feeling (intuition ) that he seriously wants to do good, if anybody knows better or more ? I confess that I drink Highland Spring water which is very popular where I live. it comes from certified organic land in Perthshire a nice area and is excellent for making household plants grow due to the natural ingredients not polluted by chemicals. I would like to see independent evidence that a bottle can fully degrade within three weeks in real life situations. It might be possible to achieve this under carefully chosen conditions. It is easy for any of us to confirm that paper does not degrade rapidly and the adding waxes to make paper water resistant (shopping bags) or waterproof for a short time (paper cups) makes biodegradation much slower. Sorry if I sound a bit cynical but I’ve worked on biodegradable materials and seen some questionable claims from companies involved. A steel cap may rust away within a year under ideal conditions, but again we can all demonstrate that thin steel can survive for longer in real life. Steel would have to be coated with a waterproof material to prevent tainting of the water in the bottle. We can’t say exactly how we make it, that’s our little secret. Looking at what James has said here and what has been said about the new water bottle elsewhere, I understand that the bottle is made from paper with a waterproof inner liner. I wonder what the liner is made of. Obvious contenders are biodegradable plastics produced using microorganisms or non-petroleum derived waxes such as soya wax. Last night I turned up a patent by two people including James Longcroft, and that referred to wax but forgot to bookmark the details. I have read that James Longcroft is a chemistry graduate from the University of Durham. If that’s right then he will know that anyone with lab facilities could use GC and HPLC to identify the chemical composition of the bottle liner. What we can say is it is made from 100% biodegradable materials and they are all sustainably sourced, so no fossil fuels here. For balance, I would like to point out that the manufacture of paper uses considerable amounts of electricity and water. In my opinion the answer to the the environmental damage being caused by plastic bottles is for people to reuse their own bottles and for refill points to be be made readily available. To correct what I said earlier, the patent application was made by one person and not two. Several Directors resigned from the company leaving James in charge I would not think others had a hand in it. I don’t know much about companies, Duncan, but I would like to discuss the science. I can see that a waxed paper cup is fine for a drink of water but I wonder how long a similar bottle would survive. I’d like to see evidence that the concept holds water. Absolutely Wavechange I want James to comment its what interests me, so a technical discussion can take place. I would like to hear from James on the points put in this convo so I can get a better picture of his character. Wavechange is certainly a professional in this area and his words have strength and weight in my mind . I do have some biodegradable items dating from the 90s, including a couple of bottles. Malcolm might be interested to know that there are international standards on biodegradability. I very look forward to seeing independent evidence that new materials do break down within weeks under real life conditions. Any chance of James replying to the above posts Which ? it would further his “charitable ” cause and he could speak word to word with a Professor (Wavechange ) in his line of bio/chemical derived business ? Waxed cartons are nothing new so I’m intrigued to know how this differs. I haven’t looked at the patent applcation but since the details have been published I don’t know why James says it’s his secret- when a patent application makes it public. Nor am I in favour of another throw away piece of packaging. Personally I’d prefer to see reusable small bottles for water that you can refill from a tap or, if bottled water is a must, from a big bottle. As far as I know, most waxed containers use paraffin waxes – synthetic linear esters that will degrade only very slowly. Soy wax is chemically similar to ordinary fats (i.e. triacylglyerols) but presumably higher melting point and is more readily biodegradable than paraffin waxes. Reusable bottles, filling points and water fountains are among the ways we can reduce needless waste of materials and energy. I wonder how the cost compares with an aluminium can which is recyclable? An “extra 5p a bottle” for this version seems not insignificant. I assume partly down to small-scale production? But I’d still like to see an end to unnecessary packaging, particularly that sent to landfill where I presume these empty bottles are destined. Its the degradation factor I would like James to come forward and speak about , that ,at least, is not a “secret ” otherwise well meaning as I think his convo might be it might start looking like an advert if he doesnt speak up. Manufacture of aluminium uses a great deal of electricity and though it can be recycled more cheaply, a great deal of cans, single-use food trays, foil, etc. are not recycled, hence the planned deposit return scheme we discussed in another Convo. The key is, I think to promote the collection and recycling of aluminium containers. It uses relatively little energy. Better, I think, than creating single-use packaging. In 2000 GreenBiz published a piece about the USDA developing a biodegradeable waterproof wax derived from corn (zein protein) as an alternative to petroleum-based waxes. Your right malcolm but a lot of the research was put in motion by the US Defense Dept for field operations . I recall the research on zein, which is a natural material and is biodegradable but I would not describe it as a wax. 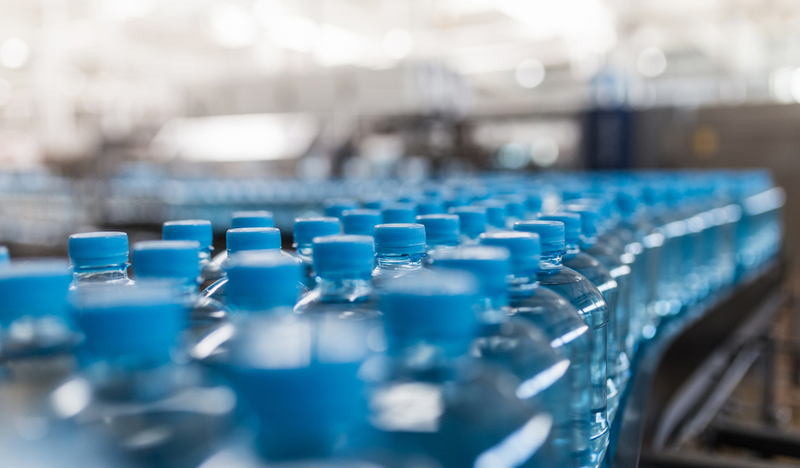 Zein would not be sufficiently waterproof for manufacture of bottles but there are plenty of other applications. Here is the abstract of a paper about zein: https://www.sciencedirect.com/science/article/pii/S0926669000000649 The full text can be found found online elsewhere. I’m James Longcroft Director of Choose Water. I love all the questions you guys have and I am going to do my best to answer them in one fell swoop. Firstly some history on Choose Water, I started a company with a Business partner(Will) it was called Free H2O. The idea was to hand out plastic bottles for free on tube in London and sell advertising space on the bottle. It didn’t go well and never took off, therefore we had huge supply of bottled water and need an avenue to sell it. Hence we changed to Choose Water. During this time my business partner resigned when we were struggling to make sales. We donate 100% of our profits to Water For Africa. The work they do is insane and they kindly took me out to Gambia to see first hand what they do. I was blown away with the impact their work has, I am sure you would all feel the same, once home decided to donate 100%. As we grow we will probably need equity based investment so this relationship may change however for now we are standing by it! The biodegradability of our bottle is currently being tested independently, it is looking really promising and as soon as I have the full report I will make sure to let you guys know. The patent that was previously applied for is for a past trial that looked really promising but didn’t work in the end due to effects on taste. We have come a long way since then and new patent is underway but until then has to be “our little secret” sorry. It is unusual for a Water company to develop a new packaging however when we went plastic Free we looked for a supplier of what we needed for ages and couldn’t find one so had to develop our own. Was a long development and I had some pretty dark days during it. But so glad that I have stuck it out. Sorry not to jump in sooner, I am sure I missed some questions but I hope this clears some stuff up. I will check back more regularly and answer any other questions, may take some time to reply, there has been a huge amount of running about recently and we are a tiny team at the moment. To sum up we aren’t a hidden massive corporate with hundreds of products and brands etc. We are small UK based bottle water company that is trying hard to bring an alternative to plastic bottles to the mainstream. It is going to be a huge uphill battle to make any sort of difference. But it makes me really happy that people are engaging and asking questions. Our biggest hurdle is consumer acceptance and the more questions we can answer is a tiny step toward this. 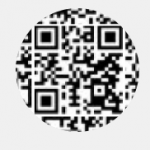 Thank you for your reply James you sound pleasant and your post does answer some questions , if you are what you say you are applying ideals and principles from the “hippy era ” which I lived through, then I must congratulate you on being a business man who is “trying to better the world ” . On the other hand being a realist and down to earth and knowing how businesses operate I find it hard to believe that this venture is your only means of business income . I would, until you say different , equate you with Paul Newman -actor who brought out a sauce that was totally invested in charitable organisations but he was an actor and had other means of income. I leave it to others to form their opinion of you. Hi James – Thanks for coming back to your Convo. I will be interested in how your project goes. One of my friends had a timeshare in the Gambia for years and used to tell me about poverty there, which most of us will have no understanding of. He used to support a local school and I remember him saying how much basics such as pens and pencils were appreciated. It’s difficult for us living in the developed world to appreciate the importance of safe drinking water in poor countries. However if you are using your support of Water for Africa it would be helpful to say how much Water for Africa has been given by your company in the past year on the Indiegogo site. Your company is not mentioned as a sponsor on the Water for Africa website. Sorry for being on the wrong tack looking at your earlier patent. Having patents myself, I appreciate that disclosure of information would render a discovery unpatentable, so I will not probe further. There are various genuine biodegradable plastics and other materials available but I don’t know anything that would degrade in natural environments within a few weeks, and adding a smooth waterproof liner would further delay the process unless unless the process is accelerated by some chemical or microbial additive. I look forward to the results of independent testing, but what would convince me is evidence published in peer reviewed scientific papers. 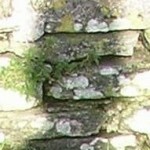 @james-longcroft Hi James – Please could you let us have an update on your project. I second that Wavechange . I would rather have reusable or recyclable bottles. I’d also prefer not to see them used unnecessarily for transporting water. Sgd mr grumpy. The new biodegradable bottle is due to be launched in September 2018. Nothing so far. For the year ended 30 September 2017, the average number of employees was nil. Hopefully that has changed in 2018. Crowdfunding has raised £39,526 at the time of writing, though the link has been removed from the Choose Water website. Please let us have an update James. We should not be supporting single use bottles that cannot be reused or recycled so they just get dumped in landfill. We should (in my view) support minimal and reusable packaging and materials. Nor do I see bottles of water as being a good example of where to use them.